Thank you for choosing Parental Control Monitor and welcome to read this text about the program. Parental Control Monitor is an excellent parental control program for child computer activity and internet online safety. It focuses on internet filtering, time control, screen monitoring and other advanced control and management. It aims to protect child from dangerous people and websites which are detrimental to the mental and physical development of child; and spending too much time idly on chat, games, download music and firms etc. 1. Time control to control the time of child on the computer or internet. Set a schedule to specify days and times when the computer or internet activity is allowed to prevent child spending too much time idly on computer or internet. 2. Web filtering to keep child away from any detrimental websites to mental and physical health of child. It is devoted to building a green and healthy online environment. 3. Regular breaks of child computer to protect child eyes. Spending a long time on computer may leads to impaired vision and health. 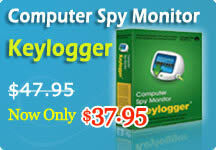 Parental Control Monitor is just the protection of child eyesight and health. 4. Take screenshots at intervals to monitor child computer usage and internet activity. The parents know what their children do on computer or internet and can take actions immediately if necessary. 5. Process control to block chatting, playing games, and other processes which are harmful or useless to child. Computer can be used for homework, study or research, but chatting or playing games for a long time may infect child study or health. 6. 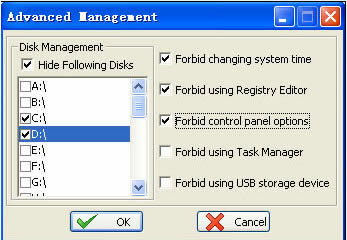 Senior control; This function includes several prohibitory orders, such as: forbid changing system time; forbid using registry editor; forbid control panel options; forbid using Task Manager; forbid using USB storage device; all of those are useful to parental control and management advanced. AutoStart -- If you want the program to auto run on windows startup, please select this option. In most cases this option is to the benefit of your control and monitoring. Show as Icon on Taskbar -- Select this option to show the program icon on the taskbar. If you don’t want to show the icon, please uncheck it. 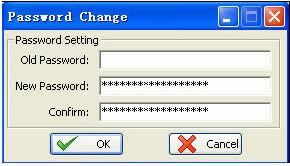 Hotkey Setting -- Use the hotkey to activate the password window. The default hotkey is “Ctrl+Alt+M”, or you can set new hotkey arbitrarily. It is usually used when the program run in invisible mode. Shutdown Options -- There are two circumstances occurred when you close the program interface. One is the program runs in invisible mode; the other is exit the program. Function Selection -- You will begin to take some key setting options here including time control, web filtering, take screenshot, process control, senior control, password change, uninstall, register, help. Click here to set a schedule to specify days and times when the PC activity is allowed and parameters for computer regular breaks. Enable time limits -- Checked this option, you can specify days and times when the computer activity is allowed. Enable Regular breaks -- Checked this option, you can set the parameters for computer rest at intervals. Enable to access PC -- Specify the days and times when the computer activity is allowed. Only when the correct password is entered, it can continue at other times. Enable to access Internet -- Specify the days and times when the Internet activity is allowed. Only when the correct password is entered, it can continue at other times. Enter the correct password to continue internet activity. Auto Record When QQ Voice Chat Activate — As soon as the PC users activate the QQ Voice Chat, the program will start recording automatically until the voice chat stop. Enter the correct password to continue computer activity. 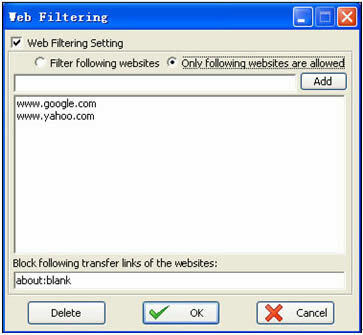 Enable the web filtering -- Check this option to filter some websites. Filter following websites -- After you check this option, you can add/delete any website which you want/need to filter in the list box. All of those websites will be blocked. Only following websites are allowed -- After you check this option, you can add/delete any websites which are needed in the list box. All of other websites will be blocked. Please note that you must enter the website with correct format. It should start with “http://” or “www” as below prompt. Take screenshot at intervals -- Selected this option, the program will take screenshots and save these screenshots automatically according to the intervals which you specify. Click the “view” button to view the screenshots. Capture full screen -- If you selected this option, the program will automatically capture screenshot of the full screen at set intervals. Capture active window only -- If you selected this option, the program will automatically capture screenshot of active window at set intervals. 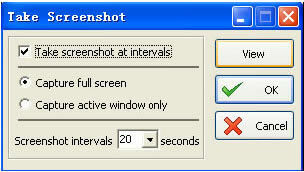 Screenshot intervals -- You can specify an interval value arbitrary during which a screenshot is taken. For better performance, an interval of 30 seconds is recommended. Lower values will increase the number of screen snapshots taken which will lead to lots of disk space occupied. Block the process of forbidden processes list – Selected this option, you can add/delete any process name which you want/need to filter. All processes in the forbidden processes list will be blocked. Current processes list – the list in which all processes are running. Forbidden processes list – the list in which all processes will be blocked. Please note that you must enter correct process name. It should end with “.exe” as below prompt. In this section, powerful functional application will help you achieve advanced computer control and management of your child. These functions will prohibit the child from changing the setting of this application and being out of your control and management. The password consists of 0~18 numbers and letters. If you use a blank password to access at the first time, your old password still is the blank password. Then enter a new password and confirm it. After this setting, you can access with this password and control the child computer usage. 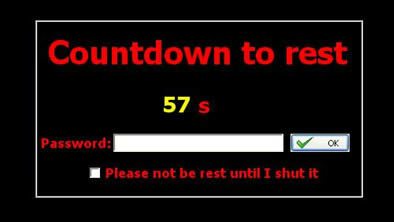 Please note that this password is used not only as the access password, but also used in time limits setting and regular breaks setting. Click on “Try” button to try the program. Click on “Buy” button, and then it will bring you to the RegNow registration service. Fill in simple information to order. You will receive information electronically immediately after ordering! If you have purchased the program and launched the full version, please enter the registration code we send to you via email in the corresponding blank box, and click “OK” button to start. Note: If you offered your machine code when you filled the order information, you will receive your registration code within one weekday. If not, we will ask for your machine code via email and then send back the registration code as soon as possible. Your machine code arises from the HD or Network Card information of your PC automatically. It can be found after you installed Parental Control Monitor. You must offer correct machine code which arises from monitored PC; otherwise, it will affect your registration. Besides, you will get our long-term technical support and upgrade freely! Because of these limitations, the trial version can be uninstalled easily by your child. So you’d better register a full version for better application. Copyright(c) 2014 www.mysuperspy.com. All Rights Reserved.